Nikola Tesla is the famous inventor and engineer. He had made a lot of inventions regarding electricity. Because of his great contribution, the name of Tesla is used in some technologies. It is true that Tesla is exceptionally awesome and brilliant. He was so genius that made him able to crate many inventions, even when these were considered as impossible. Surely, his life will be inspiring journey to know. In 1856, Tesla was born in Smiljan, Croatia. At His father was actually a Serbian Orthodox Church priest, while his mother was a housewife taking care of the farm. Tesla already had the brilliant mind since he was child. His abilities in mathematics even made him considered as cheating since he could solve all of the mathematical problems. However, he got serious disease. Miraculously, he was fully recovered when his father no longer forced him to be priest and allowed him to become engineer. His remarkable intelligence and abilities made him able to pursue education further. Nikola Tesla studied both math and physics. He studied these subjects at Technical University of Graz. He also pursued philosophy at University of Prague. During his study in Graz, he saw the Gramme dynamo for the first time. From the dynamo, he got idea to use the alternating currents to give more benefits in electricity. After those years of study, he moved to Paris. In this town, he got a job to repair the power plants that use the Direct Current. After two years, then he moved to United States. In United States, he encountered Thomas Edison. Because of his intelligence, he was recruited to work at Thomas Edison’s Manhattan. Edison was impressed by the diligence and skills owned by Tesla. Because of it, he challenged Tesla to improve the ideas regarding the DC dynamo. He said that he would give Tesla money if he could succeed in the experiment. After some months, Tesla succeeded and he asked for the prize. Yet, Edison said that it was just a joke. He disappointed and decided to quit from his job in Edison’s company. 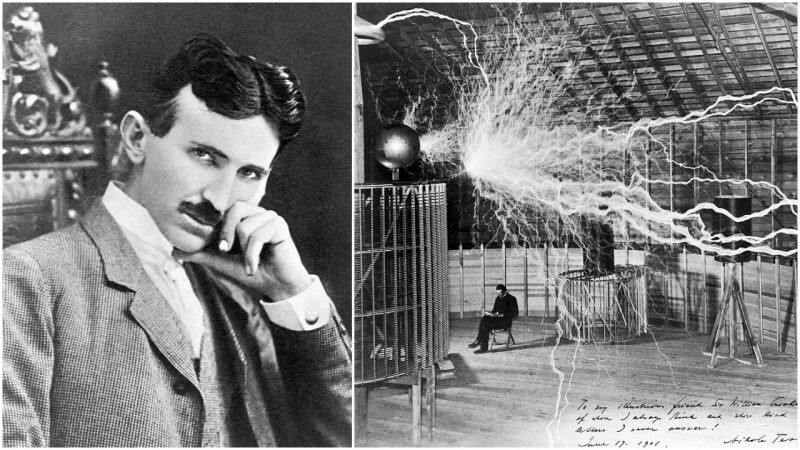 Once Nikola Tesla quitted from the Edison Company, he created Tesla Electric Light and Manufacturing with two friends. He made some patents and handed them to the company. However, his friends took over the company, while Tesla was left. After that, he worked and got a chance to teach in American Institute of Electrical Engineers. In his lecture, George Westinghouse were interested in his ideas and wanted to work with Tesla. Then, both of them developed AC motor. With the supports from Westinghouse, Tesla could develop various experiments. One of them was when he installed the first modern power station in Niagara Falls. Tesla decided to live alone. He did not get married with any woman. That is why he could focus more on the researches and experiments. He also made the decision based on several personal issues. After his lab and all of his works in New York were burnt, he moved to some places. Then, he stayed in a hotel. He still kept doing some researches. Then, he was died in his room on 7 January 1943. His legacy in electricity made him a famous inventor. Even, he got patent in radio technology. All of those great works of Nikola Tesla made him memorable.